The Luxury Blockchain: Empowering the Individual as Never Before. Create your own story. Create your own portfolio. With the help of blockchain technology, access to a luxury life is much easier than before. The Luxury, one of the first projects focused on the creation, and management of fractional high-value, illiquid luxury assets using blockchain technology. LONDON, UK, UNITED KINGDOM, October 31, 2018 /EINPresswire.com/ -- One of the most talked about markets worldwide is that of cryptocurrencies. On October 30th, 2018, the market’s capitalization was estimated to $209,171 billion revealing exponential growth over time. Over the last few years, we’ve watched in amazement as the market for tokenized blockchain based assets has exploded. Literally from nothing a few years ago to more than $6 billion in the first 3 months of 2018, but the reality is the majority of utility and security token offerings are nothing more than a good idea and a whitepaper. After seeing this up close we came to the conclusion that the greater opportunity isn’t just in hypothetical businesses but real-world assets. Over the last several months we’ve extensively researched the space and discovered a huge opportunity to fractionalize hard to access assets also known as illiquid using blockchain based technology. From a high level, an illiquid asset refers to the state of a security or other asset that cannot easily be sold or exchanged without a substantial loss in value. Some examples of inherently illiquid assets include properties, luxury cars, yachts, fine art, private jets or watches. Though these items may have inherent value, the marketplaces in which they are sold often have few buyers in comparison to those interested in the purchase of more liquid assets. The market for luxury assets is potentially a multi-trillion dollar market. The global private equity market alone is a $4 trillion. This is where The Luxury comes into play. Our goal is to use modern blockchain based technology to unlock a vast world of assets that were previously inaccessible. 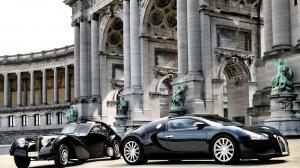 “We need a better way to transact and own luxury assets. And today’s existing models have typically not allowed that level of access… Tokens, or digital shares, do an amazing job of not only allowing asset owners to [convert their assets into shares] but allow investors to trade them among themselves,” said Catalin Dascalu, founder of The Luxury. The Luxury will be a fractional investment platform that will bring potential buyers together in syndicates to purchase assets that they may not be able to afford on their own. Pre-registration open today (https://theluxury.io) ahead of its retail launch in 2019. Unlike other fractional investment offerings, The Luxury is the first to give a choice of investing in any available asset, anywhere in the world. Investors can even choose to use the asset they co-own. Once they will register on The Luxury platform, investors will have the option to search and view any asset for sale worldwide. They can set up their own investor syndicate with friends, family or workmates or they can choose to join a syndicate of other seasoned investors. Once the syndicate is full, The Luxury will purchase the asset at market price and will administrate for an annual fee of $1000 per syndicate asset owned. Regarding the release, Catalin stated: The owners of the coins can use them also as a corporate currency to pay for various The Luxury products. On the one hand, these are the typical services of the group, such as Concierge, Lifestyle Management Services, Influencers or Retail support. 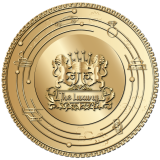 The Initial Coin Offer (ICO) of The Luxury is scheduled for two months and 50 million coins will be offered. Throughout 2019, The Luxury will launch the digital market where it can be used and the portfolio to manage said crypto active. 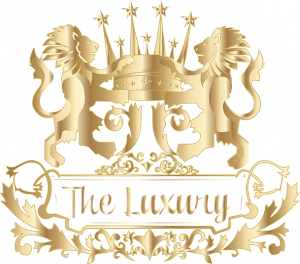 The Luxury is a global concierge company founded in 2014 by Constantin Catalin Dascalu. The company is headquartered in London and operates 6 offices worldwide. The Luxury is a member-only "luxury lifestyle management service" that provides concierge services including travel bookings, restaurant recommendations, and access to events. The Luxury includes 4 brand services, including Lifestyle Management, Influencers Talent Agency, Retail, and The Luxury Academy. In 2018, the company was estimated to have about 2500 subscribers, including 12 billionaires. This press release may contain “forward-looking statements” within the meaning of the federal securities laws. In this context, forward-looking statements may address the Company’s expected future business and financial performance, and often contain words such as “anticipates”, “beliefs”, “estimates”, “expects”, “intends”, “plans”, “seeks”, “will”, and other terms with similar meaning. These forward-looking statements by their nature address matters that are, to different degrees, uncertain. Although the Company believes that the assumptions upon which its forward-looking statements based are reasonable, it can provide no assurances that these assumptions will prove to be correct. All forward-looking statements in this press release are expressly qualified by such cautionary statements, risk, and uncertainties, and by reference to the underlying assumptions.